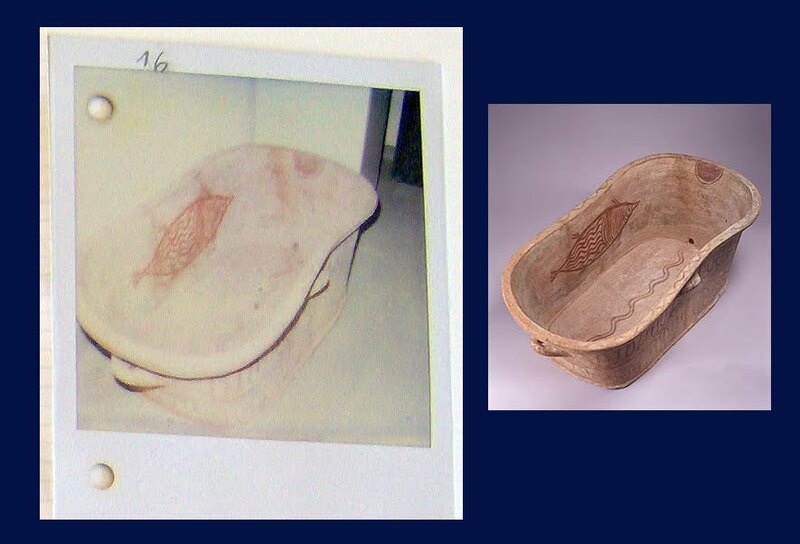 One of the colour plates shows "A Cretan bath from the mid-fourteenth century BC, one of the elements of Mediterranean civilisation most greedily adopted by Homeric Greeks". The credit is "© Carlos Collection of Ancient Art, Emory University". And we need to remember that part of Becchina's holdings was revealed in a major publicity event in Rome earlier this year. And this has implications for the Michael C. Carlos Museum. 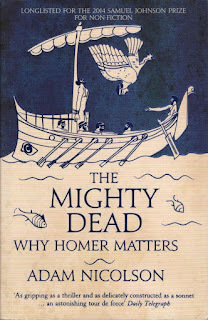 And of course the fish on the cover of the book (and elsewhere in the volume) rather evoke the fish on the Minoan larnax. So every time that I pick up this book I will be reminded of the larnax. And if readers of LM take up my suggestion, they too will be reminded of the larnax.